This month my calendar is packed with weddings, and I've got a beauty to kick it off! Mallory & David were married on Saturday in a lovely church ceremony, followed by a fantastic reception at the Woman's Club of Portsmouth. It's hard to believe that it has been more than two years since Mallory and David booked their wedding photography package with me. These two young ODU grads impressed me from the start with their fun-loving spirit. They are hard-working, goal oriented professionals who always stay focused on their faith, their families and their commitment to one another. They also love to celebrate and enjoy life together. 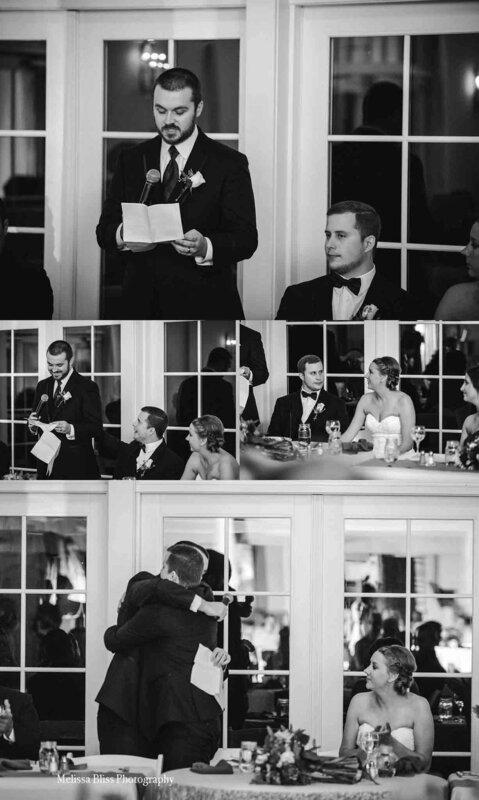 I knew their wedding would be full of sweet, joyful moments. Today I'm sharing some peeks from their gorgeous day! Everyone gathered at the Woman's Club for hair, make up, and wardrobe changes. The Woman's Club has a great space for wedding party prep, and lovely outdoor space for portraits too. 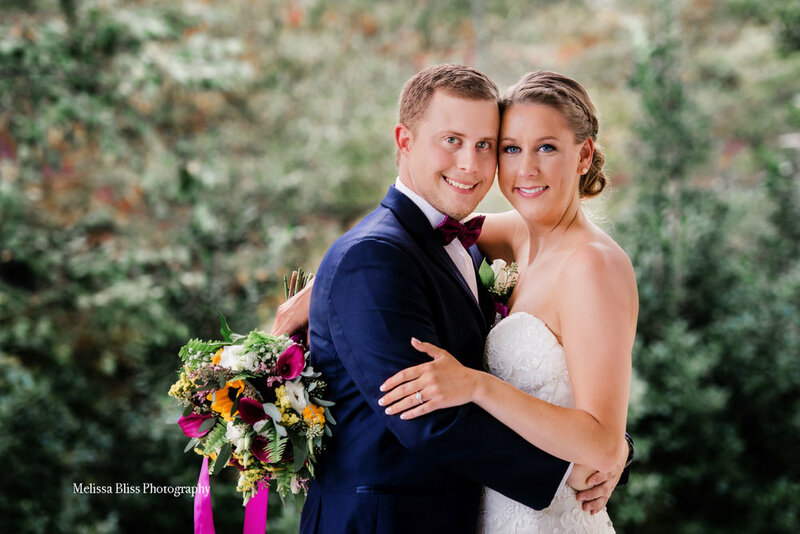 Mallory and David opted to do a First Look before their ceremony. They were so happy that they planned this special time into their day (I was too). 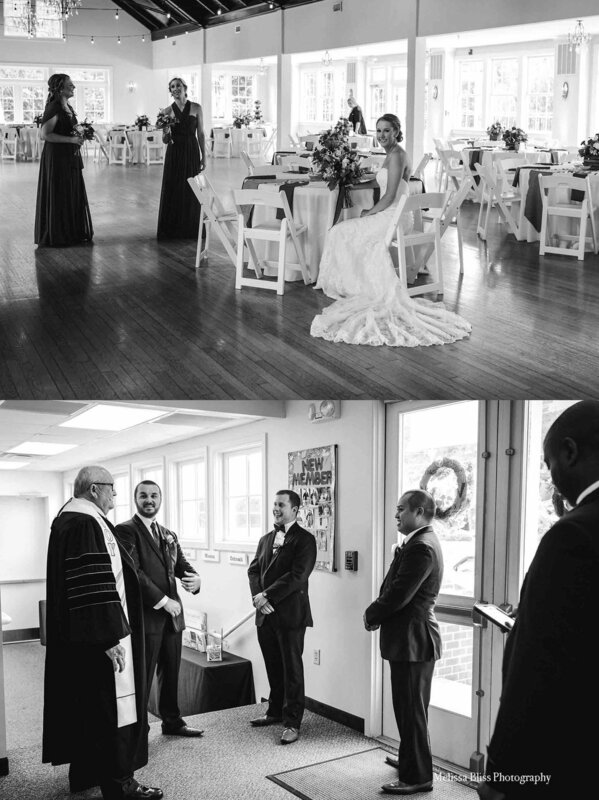 We were able to capture some sweet moments for them, and they were relieved to have the tension and emotional first look out of the way, so they could focus on having fun with their guests. It also allowed time for outdoor group portraits, which would have been problematic with the rain later in the day. 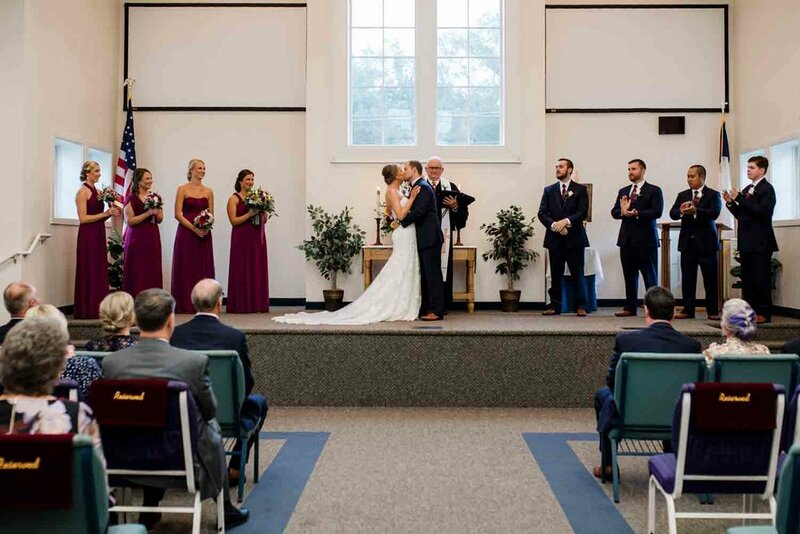 After the first look, it was off to the church for the ceremony! They did it! Officially Mr. & Mrs. Eason, they head of to the festivities to celebrate! At sunset, we snuck away for a few bride and groom portraits down by the river, and then the party continued into the night. The best man and maid of honor gave heartfelt toasts for their besties. Finally, guests lined up for the big exit, waving ribbon wands and sending the newlyweds off with love and well wishes. 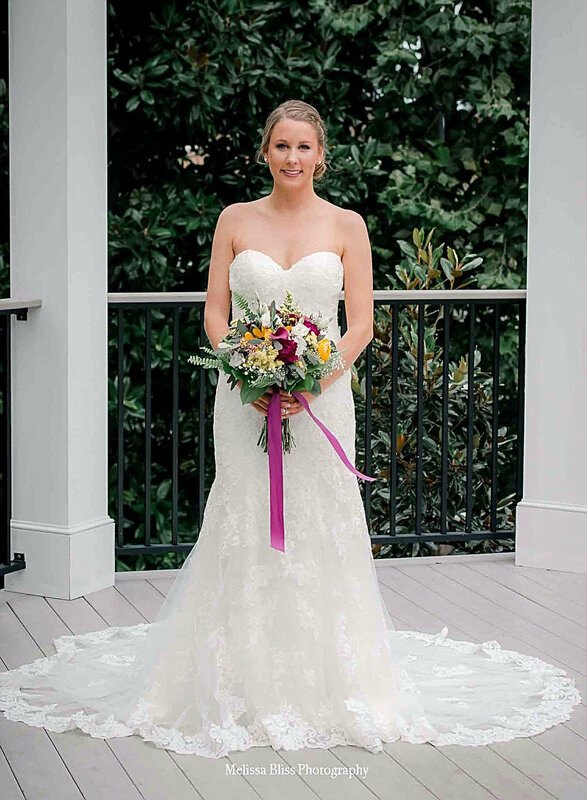 Who doesn't love a big southern wedding? 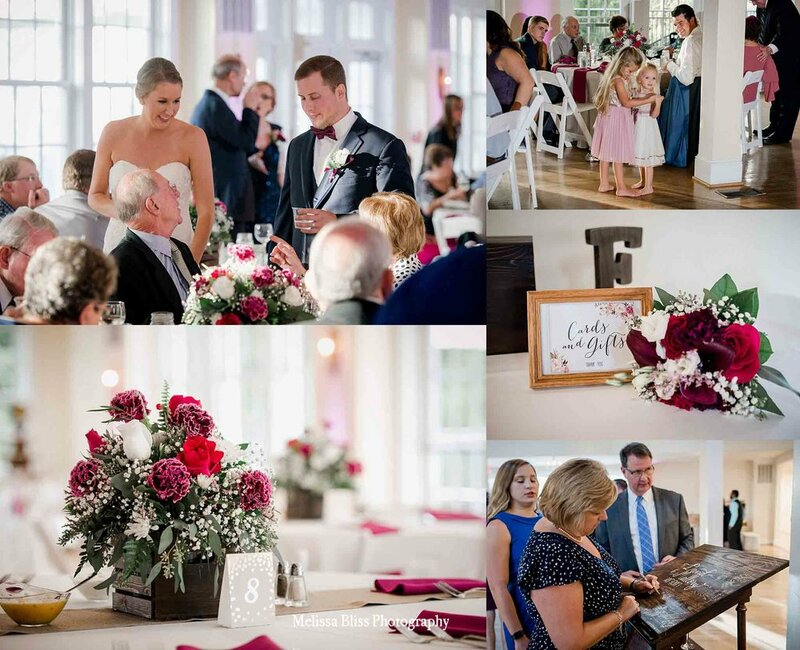 Packed with pretty details, fresh florals, delicious BBQ, gobs of friends & family, and a big 'ole party, Lori and Zach's Women's Club of Portsmouth wedding was an affair to remember! I met with Lori and Zach a few times before the big day to help them iron out a schedule of events. As they hammered out the details for their dream wedding, they decided to go big on everything! From the guest list to the wedding party, and the cakes to the venue, all-inclusive was their motto for their wedding day. A teacher by trade, Lori was meticulous about planning all of the little details. I'll admit I was pretty amazed when she showed up with a poster-sized print of the floor plan and seating arrangements! 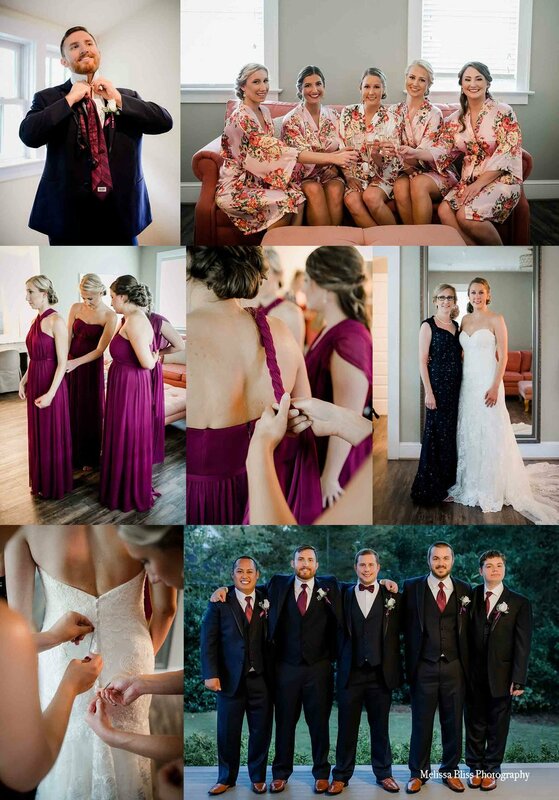 She did have some top notch help from Kelsey Ann Events, her fabulous wedding planner, who made sure every detail was carefully tended throughout the entire day. 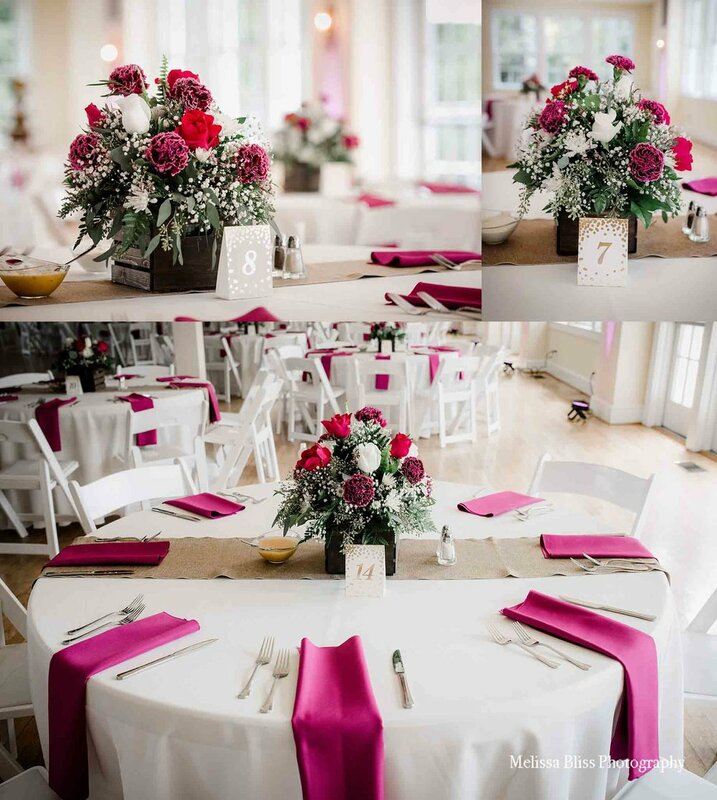 The Women's Club of Portsmouth, with it's old southern charm, was the perfect venue for this navy, pink and gold summer wedding! 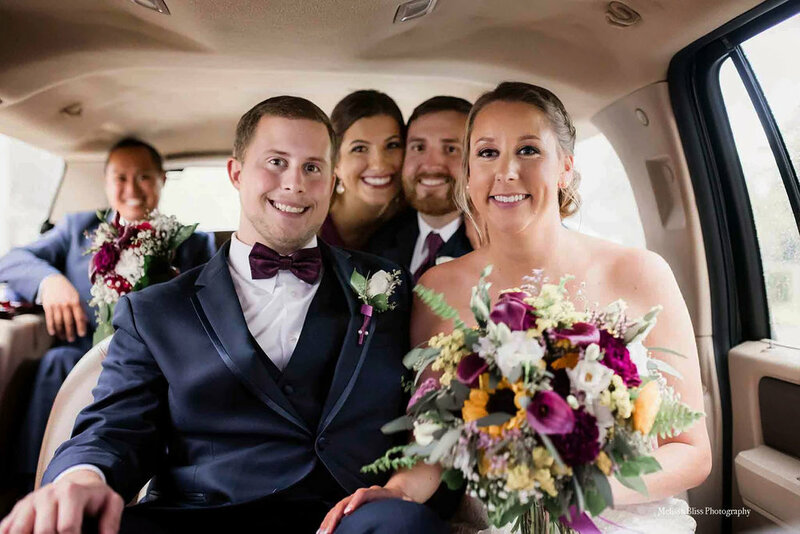 As I mentioned, Lori and Zach went big on the whole event, so grab a cuppa joe and relax because the highlight reel from this wedding is big too! As with all of the weddings I shoot, I spent 95% of the day shooting from a documentary perspective. I prefer to photograph the details and events of the day as they unfold naturally, so that the story of your wedding remains rightfully about you. Lori and Zach chose to have two photographers for their event and we spent 9 hours photographing wedding day. I love this wedding venue! The gleaming floors, high ceilings and natural light are stunning. Unfortunately, even best laid plans are sometimes thrown awry by Mother Nature. This day was sweltering hot and it poured down rain most of the time. Some quick juggling was done to move cocktail hour to a new location and whip the ceremony space into a reception hall, all while getting dinner served up. While all of that was being taken care of, our only option for formal portraits was a small entry lounge. It was a bit of a tight squeeze with such a big wedding party, but we made it work. Fortunately, the rain let up just long enough to run out for some quick bride and groom portraits. It was soooooo hot and humid out that my lenses would fog up almost as soon as I wiped them off. But these two were great sports and went with the flow. When it started to sprinkle we headed back indoors so Lori and Zach could join their guests. All in all it was a beautiful and memorable event, packed full of heart-felt moments, joyful celebration and big love. Congratulations Lori and Zach! Best wishes for many happy years ahead! !